A Spectrum Design + Build Partnership: Wellborn Cabinet, Inc.
Wellborn has such high standards for their product that only contractors who have undergone their certification program may install their cabinets. In 2014, Keith and a group of other remodelers flew to the manufacturing plant in Alabama to survey the factory and take part in their Alliance Plus training program. Over the course of two days, Keith toured the factory and received product instruction in order to become a Wellborn Authorized Contractor. Not every product company requires its Authorized Contractors to go to such lengths in order to sell your product, and not every contractor is willing to put in the time to learn. 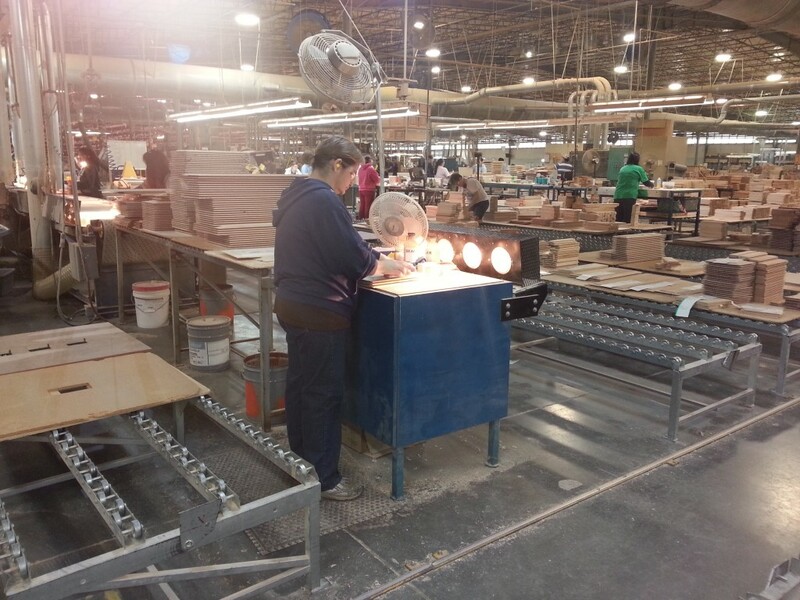 Wellborn products are hand-sanded and put through rigorous quality checks. Nothing leaves the shop floor until it has been inspected by multiple employees. Founder Paul Wellborn likes to visit his factory workers with random weekly inspections to ensure that every cabinet that has come out of the factory since its founding in 1961 is perfect. That means once a week, an entire kitchen's worth of cabinets is pulled off the truck and given a keen once-over by Mr. Wellborn himself. In addition to their devotion to quality, both Spectrum and Wellborn are wholly committed to green building principles. The Eco-Certified Composite Sustainability Standard is a certification that Wellborn has earned through having high standards regarding carbon footprint, local and renewable resources, recycled/recovered content, sustainable sourcing. 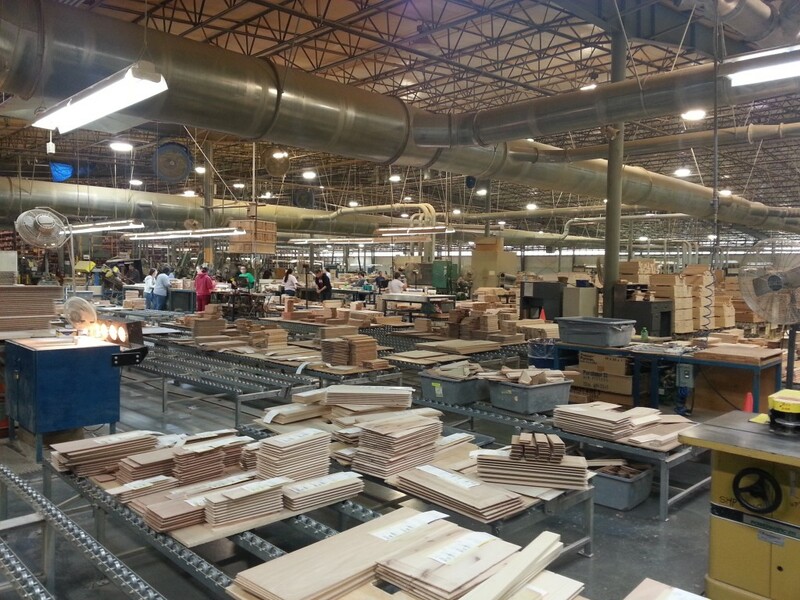 Specifically, one of the myriad ways Wellborn stays green is to recycle wood waste material to generate power and steam, which in turn lowers its VOC emissions. Keith is also a member of the Wellborn Contract Advisory Board, a small panel of 10-15 contractor/remodelers that meet to discuss quality, logistics, and provide input and feedback. It is important that Wellborn know what the contractors and customers think about the style, installation, and overall quality of their product. So when it comes time for that gorgeous new kitchen you've always dreamed about, or that beautiful bathroom with the claw foot tub, Spectrum and Wellborn have got you covered. With a variety of Wellborn styles, Spectrum can design your new space to suit your budget and your taste. To see the different styles of cabinets available to you, click here. To learn more about Spectrum's partnership with Wellborn, contact us today.